Yungang Caves/ Yungang Grottoes feature a blend of ancient Buddhist temple grottoes and statues, revealing excellent stone carvings of 5th to 6th centuries. 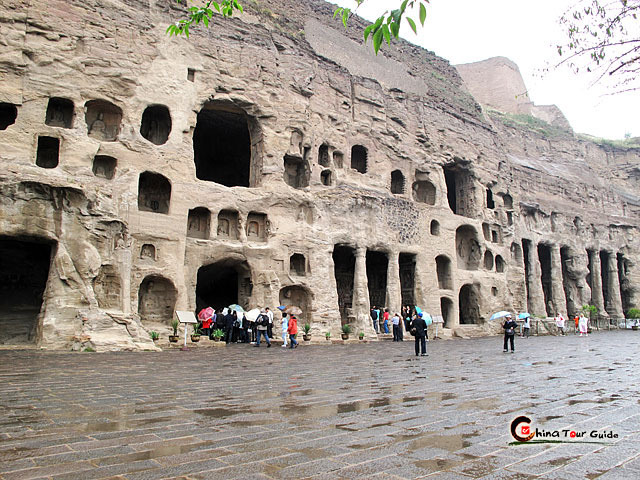 Undeniably, Yungang Caves, as a famous lure, along with Hanging Temple, attract seas of people to rush to Datong, Shanxi Province. Yungang Caves/ Yungang Grottoes is 16km far away from Datong in Shanxi Province of China, next to the pass leading to Inner Mongolia. All caves were cut into the south cliffs of Mt. Wuzhou Shan. 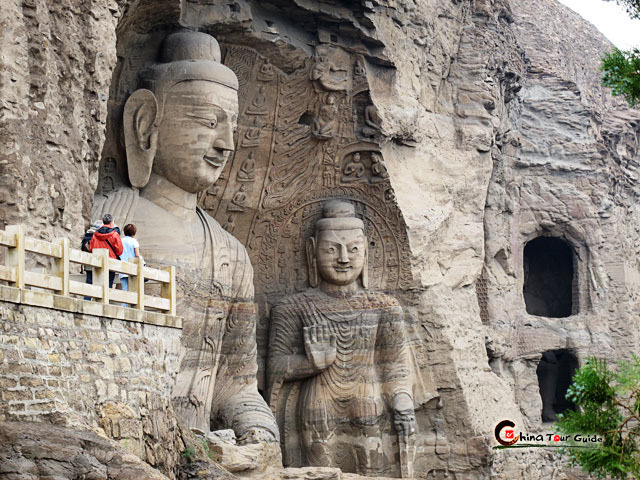 Enjoying a better popularity than Longmen Caves (in Luoyang of Hunan Province) and Mogao Caves (in Dunhuang of Gansu Province), Yungang Caves, with a total of 252 grottoes and over 51,000 Buddhist statues, were listed as UNESCO World Heritage Site in 2001. 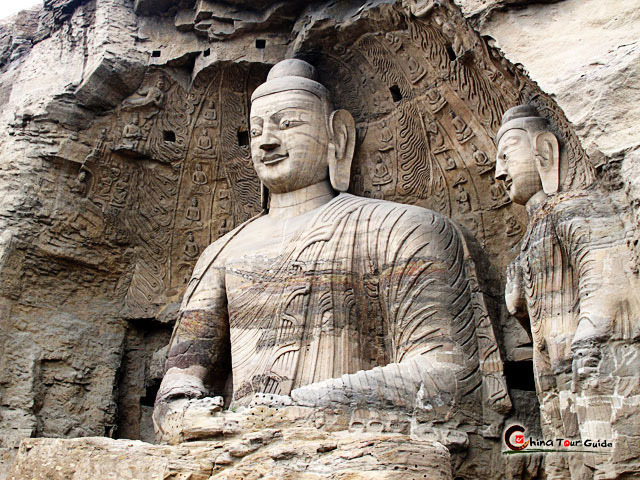 These Chinese amazing rock-cut architectures were built from 460-525AD during the Northern Wei Dynasty. The original constructions of Yungang Caves were divided into to three periods. From 460 to 465AD, Yungang Caves built caves 16 to 20 under the private patronages, which was regarded as the first period. As we know, Northern Wei Dynasty uniquely followed Buddhism as its state religion, so during the second period (471-494AD) the main Yungang caves were given supervision and support from the imperial court, like twin caves 5/6,7/8,9/10 and gigantic caves 11,12,13. These caves represent the best stone carving art of that time. At the year 494, Northern Wei Dynasty moved its capital from Datong to Luoyang, so the imperial patronages ended. All other caves were built during the final period (494-525AD) under local private patronages. Yungang Caves has experienced the damages from heavy weathering, coal and other pollution for hundreds of years, and through the following dynasties, these caves had been renewed, protected and additionally built-up. 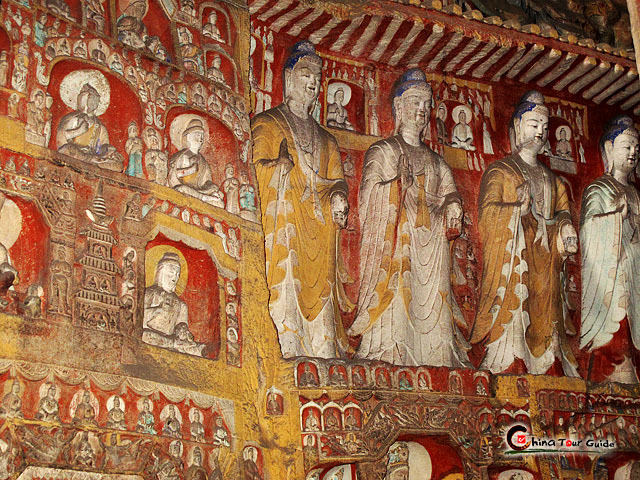 During Liao Dynasty, a part of Yungang Buddhist statues were renewed; from 1049 to 1060, famous 10 temples of Yungang were built; During Qing Dynasty, in caves 5/6, wooden buildings were added to refresh Yungang Caves; In 1950s, Chinese government made grouting for Yungang Caves in order to protect these ancient Buddhist treasures. 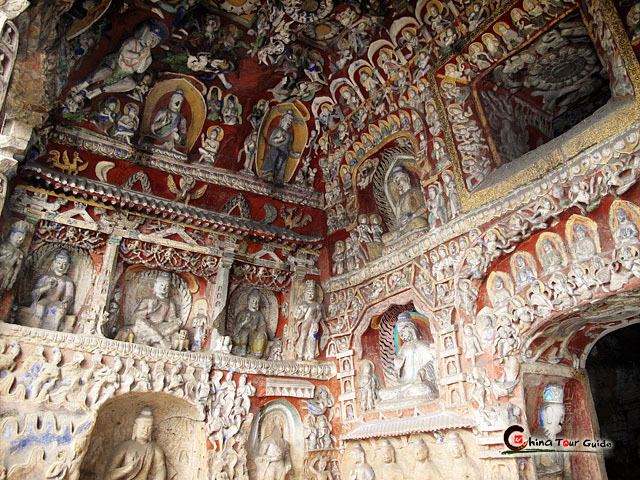 For visiting Yungang Caves, here you can immerse yourself in the surprises of supreme ancient stone carving art. 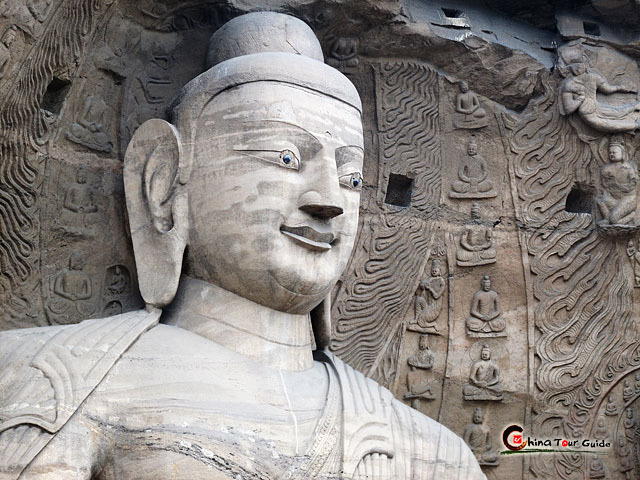 For neighboring the local coal mines, although Yungang grottoes have been polluted by coals, you still can appreciate the beautiful Buddha temples and countless Buddhist statues very well. Remarkably in the cave 5, a colossal seating Buddhist statue with a height of over 17 meters is an astonishing lure among so many statues, you would definitely open your mouth and make Wow when staring at it.